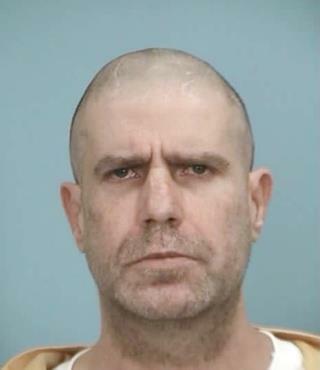 (Newser) – A newspaper editor picked up a twice-convicted killer who asked for a ride in Mississippi, not realizing he'd just escaped from prison. Michael "Pretty Boy Floyd" Wilson, serving life sentences for the 2014 killings of two men, jumped a fence at the South Mississippi Correctional Institution in Leakesville on July 5, reports the Biloxi Sun Herald. Some time after an elderly woman gave Wilson a ride to a nearby Walmart, believing he was trying to get to a hospital to visit his wife, he turned up in front of the home of Russell Turner, editor and publisher of the Greene County Herald. Though authorities warned the public not to give rides to strangers, per WALA, Turner obliged, dropping Wilson at a hospital. Wilson was found by police getting into another person's car near St. Martin after three days on the lam.
? ?Why was a convicted murderer being housed at a minimum security jail, with staffing issues ????? From the caption, I thought he hitched a ride from an off-duty prison guard or police. I Love a good prison escape story, I do not think putting someone in a cage is ever the answer. Whatever crime they committed should be done back onto them. If he is a killer, he should be killed on the spot. CAGE FREE HUMANS!